My copy of "Crap at my Parents' House" which ironically is being propped up on the counter in front of a giant ceramic chicken. 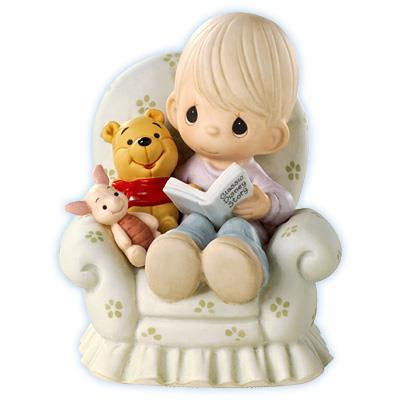 There are many book affectionados who swear they will never come over to the dark side–reading books electronically. It took me roughly an hour and a half after charging up my kindle and reading (and highlighting) my first book on there to determine that instant books via Whispernet was the preferred method of reading for me. Oh, sure…you don’t get that comforting “old book smell” from a kindle or a nook. But I can’t say I’ve ever bought a book because I liked the way it smelled. I recently finished reading Stephen King’s latest novel, 11/22/63 on my kindle. The print version of that book is around 800 pages. Since I usually fall asleep reading, had I been reading the print version, I could very well be writing this post from a hospital bed whilst recovering from a concussion which occurred when I dropped that thing on my head. One such book (which strangely enough is available on kindle) is one I received for Christmas. A charming little picture book entitled Crap at my Parent’s house. Unless your parents were interior decorators with exquisite taste in decorating, I’m fairly sure you will get at least a few mild guffaws out of some of the items in this book. In conclusion, I’m giving “Crap at my Parents’ House” my ringing endorsement. It’s not exactly Tolstoy, or even Nicholas Sparks for that matter. But it has certainly given me some much welcome laughter. Fair warning: If you’re easily offended, this book probably isn’t for you. 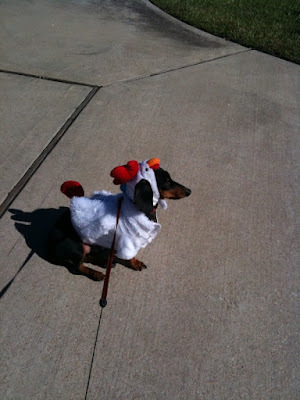 Then again, if you were easily offended, I don’t imagine you’d be reading my blog. A world of capitalistic greed where sunstroke victims can easily be persuaded to part with their vacation dollars. Who among us has not at least been tempted to purchase a souvenir as proof that we were, in fact, at the beach? And nothing says “I’ve been to the Gulf of Mexico” like a coconut painted to look like a pirate’s head. Really, I don’t object to the coconut head. I don’t believe an oversized nut really cares what happens to it after it falls from a tree. But what of sea creatures? Many of us look forward to Shark Week on the Discovery Channel. We marvel at these ferocious, single minded killing machines of nature. We fear them with awe and respect. Personally, I’d like to see them turn some of these into staplers. Form AND function. The little pufferfish is a poor swimmer. In the ocean, its only defense against predators is to quickly fill itself up with water making it an undesirable meal with its sharp, pointy surface. Alas, in death there are no such defenses against a hot glue gun, googly eyes and a little straw hat. There is no dignity in death, at least if you’re a gift shop sea creature. But what of dignity in life? The hermit crab, both sea and land dwelling, is virtually defenseless, and must seek shelter from its enemies via the abandoned shells of snails or other such creatures. I suppose beggars can’t be choosers. Have we learned nothing from the Spongebob Squarepants movie? It’s good to be human. It’s been too long since I complained about something at any great length (on this blog). Now I’m guessing that the following rant may step on some toes, but I gotta be me. And today me is wanting to rant incessantly about all the unnecessary crap that fill our homes. This could be a post about stuff that needs to be thrown away or taken to your favorite local charity, but if I did that the guilt would overwhelm me and I would be loading up the back of my Jeep with old clothes and toys instead of enriching all of your lives with my own personal opinion. Sorry/you’re welcome. So instead, I’m going to talk about collecting things. Here’s my thinking: If you own ten (okay, I’ll be generous and say 20) of anything that needs to be dusted on a regular basis that serves no other purpose than taking up space, then I think maybe you may be a wee bit obsessed. 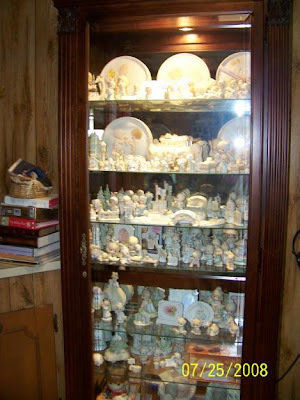 If you purchase a large cabinet for the express purpose of displaying a bunch of figurines that are essentially indistinguishable from 10 feet away (especially if they’re in a big honkin’ cabinet), I think your collection is complete. It was probably complete about 50 figurines ago. But that’s just me. I know this may come off as harsh, but when I think about how much many of us spend on “collectibles”, it just sort of irks me. We’re wasting money on treasures that will fill our homes but not our hearts, leaving us both fat and empty at the same time. We all need Stuff. We all just need to make sure it’s the Good Stuff — spending time with friends and family, getting lost in a really good book, longs walks on the beach — whatever the Good Stuff is to you. Besides, we’re supposed to store up our treasures in heaven, are we not? And for the love of all things good and holy, please don’t tell me that the money you’re spending is an investment, because handmade or not, IT’S A FREAKING BASKET! 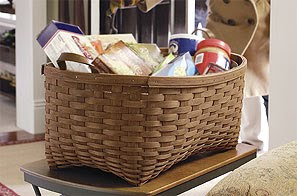 A $184 basket. Which incidentally, is full of crap.